I hope these little reviews assist some people who may be looking for resources to purchase to start off their teaching careers. It is all trial and error for me. I have bought books in the past which I have never and will never use, but I have also found lots of jems. I will always be honest about what I use in school and I will only recommend books which you can use with lots of different classes, and books which you will use over and over again. I also focus a lot on books which can be used when subbing day to day with different classes, as a lot of us are in that particular boat! 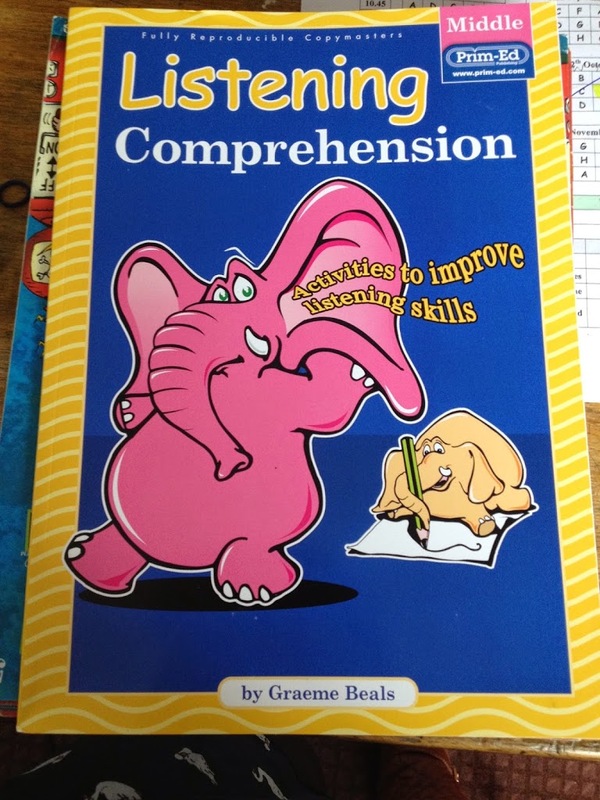 The most recent resource I have tried is a book called ‘Listening Comprehension’ by Prim Ed. 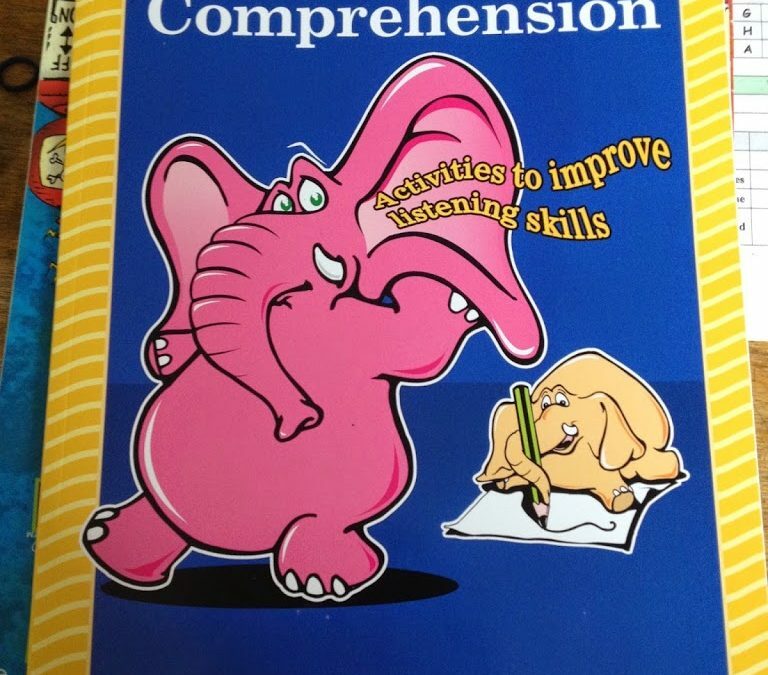 I was so impressed, I decided to road test the English version, ‘Listening Comprehension’. I used it this week in school with fourth class and they loved it. I chose the middle primary book. The class I have been subbing with for the last few weeks really need to work on listening skills. This book provided me with a fun and challenging way to work on their listening skills. The book begins with the helpful listening comprehension curriculum links. It works on the listening strand of the English curriculum. The book provides us with the content objectives of the curriculum too which will save us rifling through the curriculum document books! 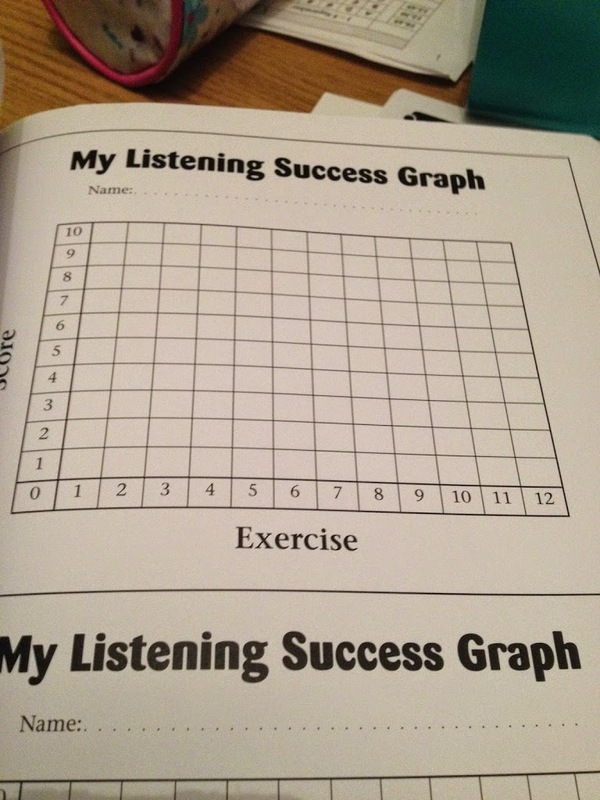 It has a total of twelve lessons, with graph sheets at the back to monitor the child’s improvement in listening. It is a very child friendly graph, ideal for self assessment. It enables the child to graph the progress they have made throughout the twelve lessons. I began with lesson number one. The exercise took maybe 10-15 minutes in total. I called out each instruction FOUR times! I am hoping to get this down to three and then two as the weeks go on. 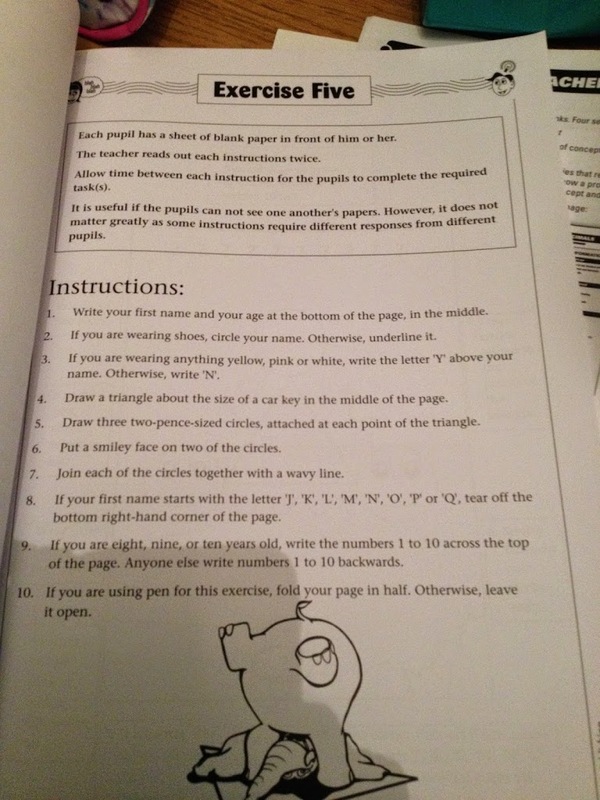 The instructions are quite detailed as you can see from the sample I have posted. It is a great activity to do after a noisy lesson, like art or drama. It really calms the children down and helps them to focus. 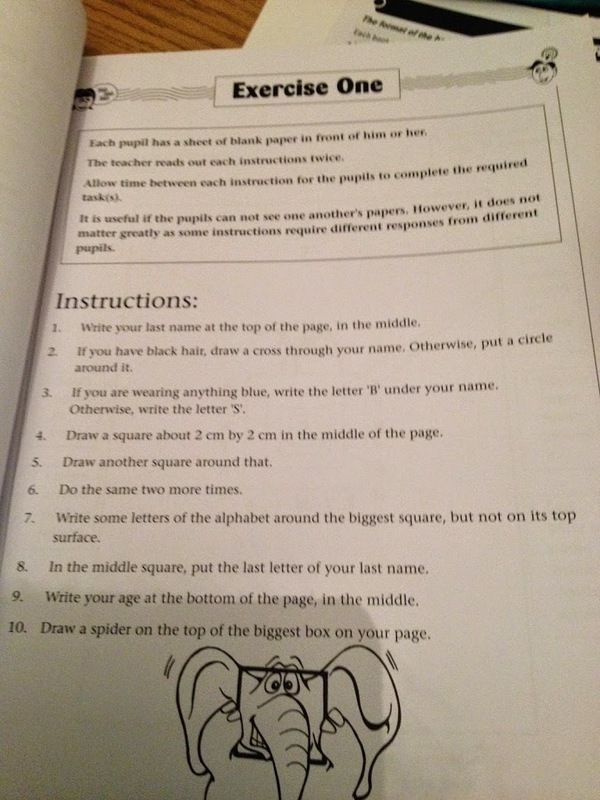 It could be a nice little activity to round off a lesson for an inspector too.